Well getting more than track work I guess. Wonder what type of seats will replace them? I bet it gets Banshee type restraints. Now I wonder if track will also join that pile. B&M launch system? I'm assuming they're going with the LSM launch used on Thunderbird, and for the new trains, I hope they're B&M hyper trains with shinbars similar to SD2K. Unless they're doing a retracking, I would think a vest restraint train would be too wide. I really, really liked Hulk, though it was a little rough on the ears. I was bummed I only got around to riding it once when I visited IOA last year. Hopefully any and all changes will be for the better. Perhaps more than a remodel from the looks of that. I wonder whether the "new" Hulk coaster will be a B&M or will come from another manufacturer? Also whether they'll keep parts of the existing coaster (a la Phantom's Revenge) or build an entirely new ride? How would anyone know what dump/yard everything went to? Does this count as a new credit? Wouldn't matter to me, I've never been to Universal. I have to imagine that any proceeds from the sale of scrap metal would work its way onto the asset column of the project. Just sayin'. Hulk Smash? More like Hulk in Trash! In all seriousness though, I am wondering what the heck is going to happen to Hulk- it'll have new trains and obviously new track as well next year, and could possibly even seem like a brand-new ride if enough is changed. I'd also bet money there will be a re-theme of some kind too. Like I've said before, steel coasters can be retracked. ...at very high expense which most regional, seasonal parks and chains cannot afford or justify from a business perspective. Universal can do it because they are a major year-round tourist destination with way, way higher revenue than a Kings Island or other similarly-situated park. They spent a quarter of a billion dollars on the Harry Potter expansion that opened last year. Kings Island's largest investment to date into building a single attraction is less than 10% of that. That oughta give you a bit of a clue as to their relative budgets and spending capability. ...at very high expense which most regional, seasonal parks and chains cannot afford or justify from a business perspective. Universal can do it because they are a major year-round tourist destination with way, way higher revenue than a Kings Island or other similarly-situated park. They spent a quarter of a billion dollars on the Harry Potter expansion that opened last year. Kings Island's largest investment to date into building a single attraction is less than 10% of that. That oughta give you a bit of a clue as to their relative budgets and spending capability. Tell that to this guy. The cost for the Arrow remodel was, I imagine, comparable to the cost of a new ride, but there was something marketable as a new ride when it was done. 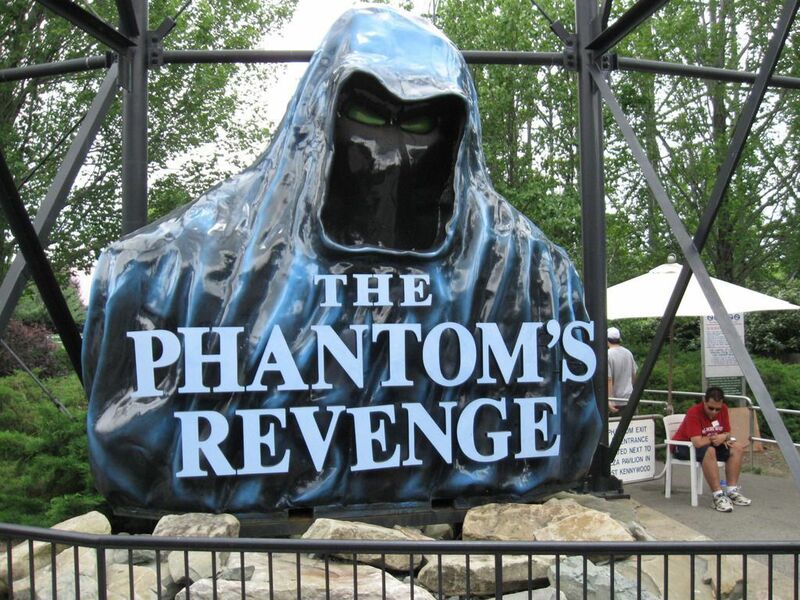 The existing ride was apparently not providing the experience that Kennywood wanted. Parks in the position that Universal is with Hulk--a situation where the ride has apparently reached the end of its service life--would almost never consider paying for what I, admittedly, am assuming will be exactly the same ride all over again. In fact, it hasn't been heard of outside Disney (that I know of.) One is an attempt to improve ROI; the other is the rarely-chosen second option that parks have when their rides reach the end of their service lives. I do not expect that, unless Universal is going to change the layout and/or theming, the park will be touting this as a new ride. It's been said before, but I do wonder what the future holds for Dragon Challenge/Dueling Dragons. They're the same age as Hulk. In all seriousness, I don't know the answer to that question, and I don't think we will until whatever rehab on the ride formally known as Hulk is completed. I'd say since Kumba is older than Hulk or Dragons, (and operates year round as well) there is a lot more to this than age or service life. According to Universal, the park will have recycled "more than 800 tons of steel" by the time the project is completed. For some perspective: Raptor's trains weigh 9.5 tons each, and one of Banshee's 100 sections of track weighs 4 tons according to information Cedar Point & Kings Island posted online. The entire second half could be redesigned and I don't think a single person would shed a tear. For those who haven't had the pleasure, that iconic, photogenic, and stellar opening act leads to a course that's about as meandering and pointless as Rougarou's with the transitions of Anaconda. For a park with two major "thrill" coasters, Hulk should be an undisputed champ of coasters from start to finish. As it was, that was not the case. Given that the project is this in-depth, I believe Universal will have the second half of the ride redesigned. At this point, you're well on your way to a blank slate. It would be downright silly to rebuild the uncomfortable ride that was. The launch was nothing special. At all. The Hulk layout redesign may be due to the new style of trains it may be receiving. I'd disagree. It was far from the fastest launch, but being uphill, indoors, and unexpected all made it an incredible feature of the ride. The best part of the launch was the zero g roll at the top, but the launch as a stand alone was nothing spectacular. The pacing at the beginning of the ride is fabulous but the second half like the launch was nothing spectacular. Has there really been no updated photos from Universal lots? 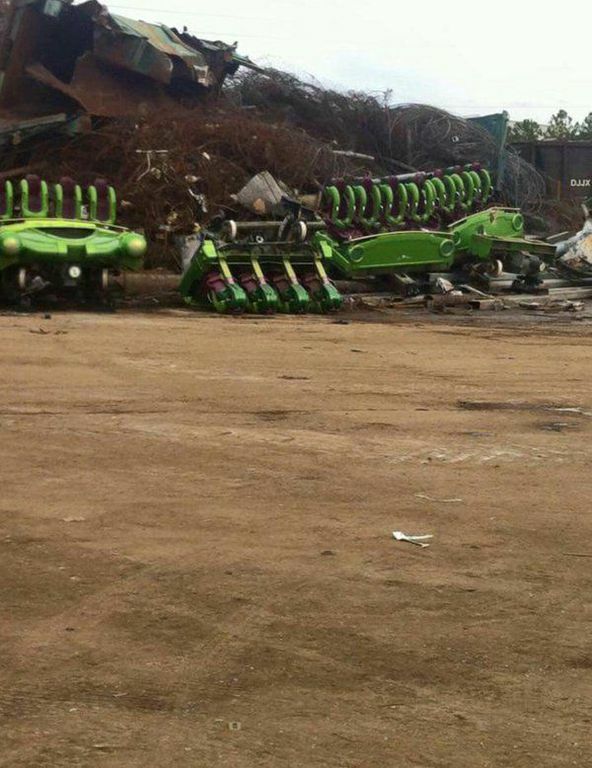 Last I read, Universal has already dropped off all of the trains and track at a local recycling plant. ...make you want to scream? I guess Incredible is exactly what they were looking for.